This product is a natural vegetable based solvent, developed to remove oil and water based adhesives, wax, tar, oil, chewing gum and ink graffiti. 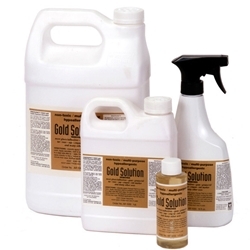 May be used on automotive, boats, glass, acrylics, metal, masonry, cloth/vinyl fabrics and many other surfaces. This product is very mild smelling NON-HAZARDOUS, HYPOALLERGENIC, BIO-DEGRADABLE FORMULA CONTAINING NO TOXIC PETROLEUM DISTILLATES, NO CHLORINATED HYDROCARBONS, NO ALCOHOL, NO ETHYLENE, NO CAUSTICS, NO ACIDS OR POLLUTION-CAUSING INGREDIENTS. When using on sealed masonry surfaces, test on an inconspicuous area to make certain it will not remove seal. This product was developed for people with sensitive skin or do not like the smell of citrus based adhesive remover products. Excluded from free shipping offer. For more information please call our sales department at (855) 286-3368.